You can choose up to a 12-core Intel processor and 64GB of memory for impressive performance. 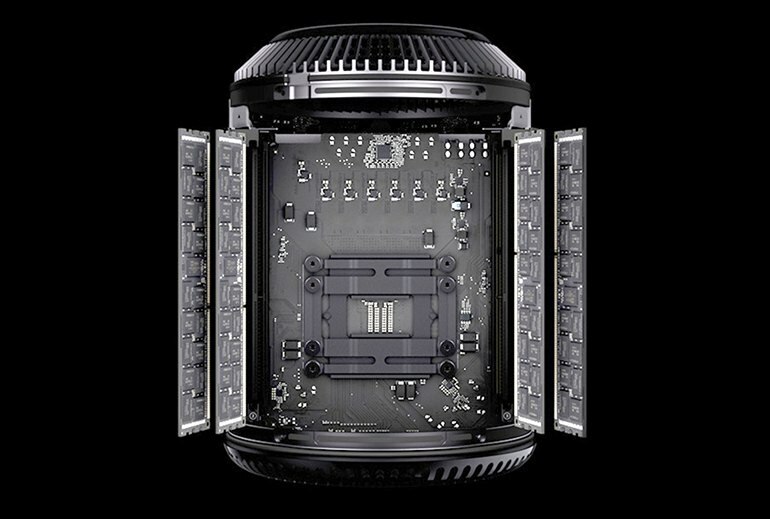 The Mac Pro is well-connected with dual Gigabit Ethernet, 802.11 Wi-Fi, and Bluetooth 4.0, and shows it with up to six DisplayPort 4K monitors. Lots of I/O ports, including six Thunderbolt 2.0, four USB 3.0, two Gigabit Ethernet, and one HDMI port, teamed with OS X Yosemite make it intuitive to use all the Mac Pro's power. The high price pushes it solidly into a professional production market. HDMI support is for 1.4, not 2.0, so there's no support for 4K HDMI monitors, but any of the Thunderbolt ports support DisplayPort at 4K. 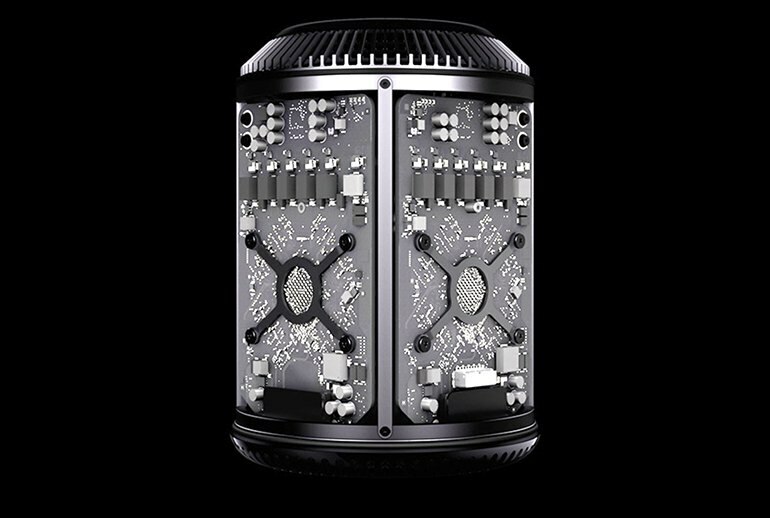 The Mac Pro isn't bundled with a mouse or keyboard, and it has few internal expansion options. 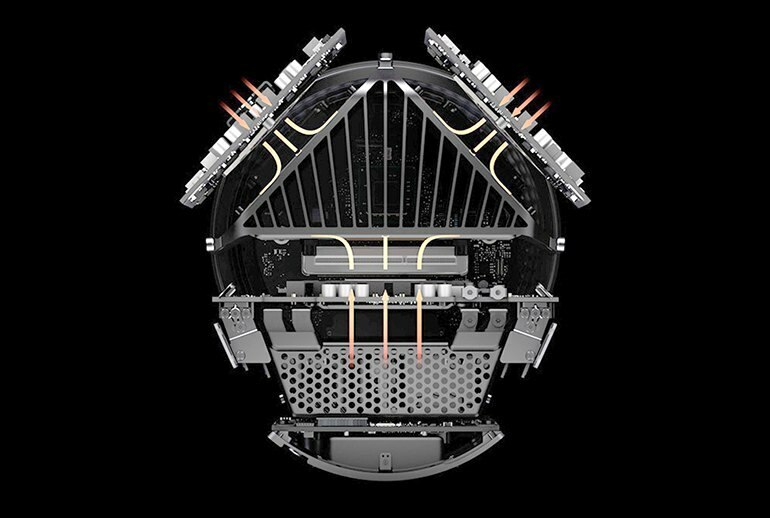 The Mac Pro is the professional’s choice for filmmakers, audio engineers, and artists. Starting at $2999, its four- or six-core Intel processors are configurable up to 8 or 12 cores, 32GB or 64GB of RAM, and up to 1TB of flash storage. With six Thunderbolt, four USB 3.0, two Gigabit Ethernet, and an HDMI port, connectivity is not an issue. The Dual AMD FirePro D500 or D700 GPU gives you up to six Thunderbolt displays for fast graphics at the resolution you need. The odd-looking, quiet and temperature-efficient cylinder is just under 10 inches tall and tops out at about $10,000 with all the extras. 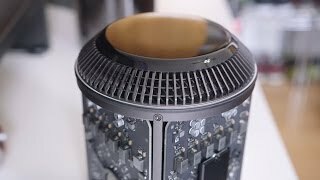 The Mac Pro is one of those great moments where form and function are totally at one, and that's a very exciting thing indeed. 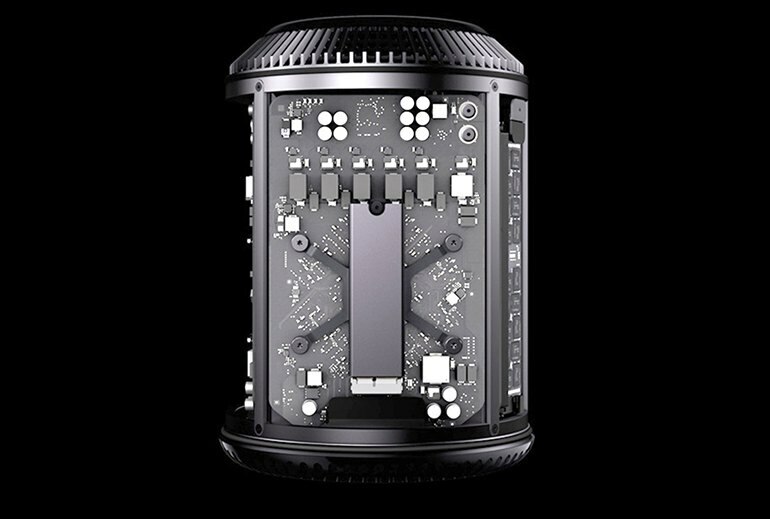 Not everyone needs the workstation-level power and performance offered by the new Mac Pro, but wouldn't you just love one? While you can still open up the case without having to reach for a screwdriver, you'll find far less opportunity inside for maintenance and upgrades. But that's not to say that it's entirely closed to the user; slide off the exterior shell of the chassis and you'll find access to four DIMM slots for RAM, as well as access to the internal PCIe-based flash storage. I love how quiet the machine is. It's impossible to hear over an external hard drive or ambient air conditioning noise, even under heavy loads. The only sign you'll have that it's cooling itself is the gentle rush of warm air coming out the top of the unit, which makes a surprisingly wide and uniform column of wind. 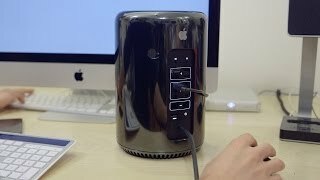 For pros that use apps that take advantage of multiple processing cores, the Mac Pro is a time-saver, but is probably overkill for everyday tasks. While it's easy to make some jokes at the round shape, from an engineering perspective, the industrial design is nothing short of incredible. It completely boots up from power-off in less then 30 seconds. Here's the awesome part: I click all my apps, and they are all loaded, stable and ready to go in just 30 more seconds. Whoa! This is the difference between getting right to work, or having to come back later. 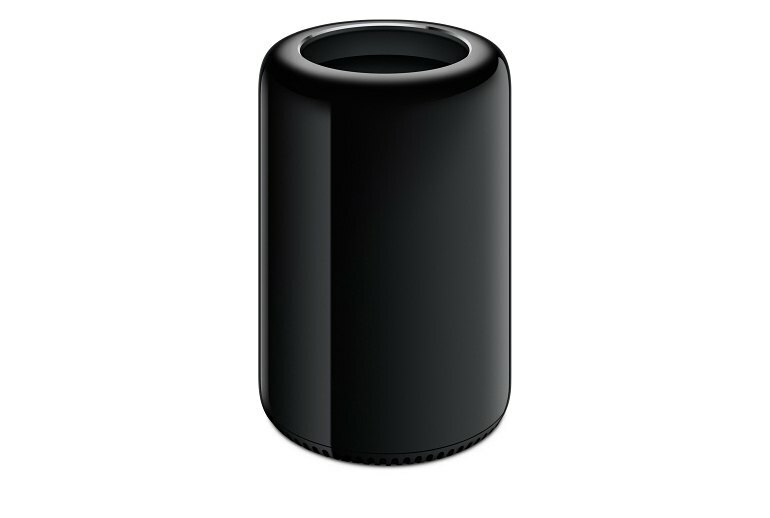 As you'd expect, in regular use the new Mac Pro simply flies. Apps, even weighty ones like Final Cut Pro X, load near-instantly. Files can be transferred around the flash storage with effectively no consideration to how large they are: it's just drag, drop, and they're there. 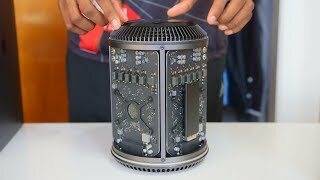 New Mac Pro Unboxing & Impressions!